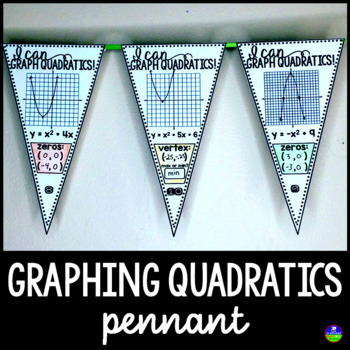 Students graph quadratic functions from standard and vertex forms in this math pennant activity. 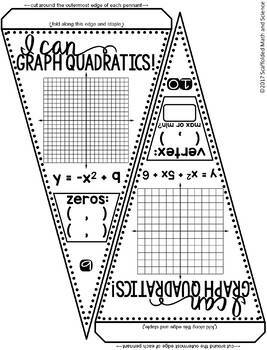 After graphing, students identity the graph's vertex and state whether it is a maximum or minimum or identify the graph's zeros. All given equations can be factored. Some have a values that are greater than 1 and/or negative. Includes an optional student answer sheet and answer key. 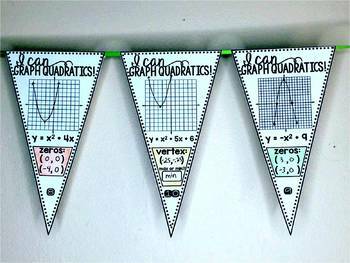 Once each pennant is complete, it can be hung along a string in your classroom to show the world that, "Hey, we know how to graph quadratics!"